On 28 September 2018 the ninth workshop was held with students from 7 to 18 years old from “St. Paisii Hilendarski ” Secondary School – Plovdiv. The workshop was held in the yard of the school. Among the participants there were students with various disabilities – hyperactive, visually impaired, with epilepsy, with Down syndrome, with asthma, with heart problems, etc. At the beginning Mrs. Ikimova and Mrs. Grudeva reminded the participants about the goals and the ideas of the project. First, during the long break of the first shift, a Bulgarian folk dance was organized, which was titled “Challenge Me!”. More than 500 people participated – teachers and students. Everybody participated with great pleasure. There were smiles on everybody`s face and all the participants were visibly entertaining themselves, caught hand-in-hand, while the disabilities were left behind in everyone`s effort to perform the steps of the folk dance properly. After that, during the long break of the second shift, walking on the slackline and volleyball games were organized. The children got involved with great enthusiasm. 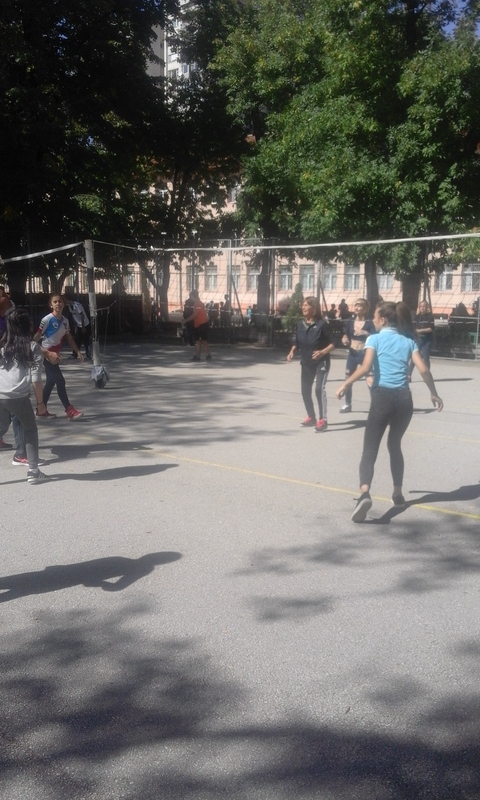 During the volleyball game, the participation of the students with disabilities wasn`t different from the participation of the other students. They participated willingly, respected the rules of the game, and performed rationally the necessary techniques. A great interaction has been achieved between all players. The game lasted about 30 minutes and finished with congratulations between the two teams according to the rules of the volleyball game. Meanwhile, walking on the slackline was also organized. The children were sincerely entertaining themselves, and since the task was not easy, we observed mutual help and understanding among all the participants. 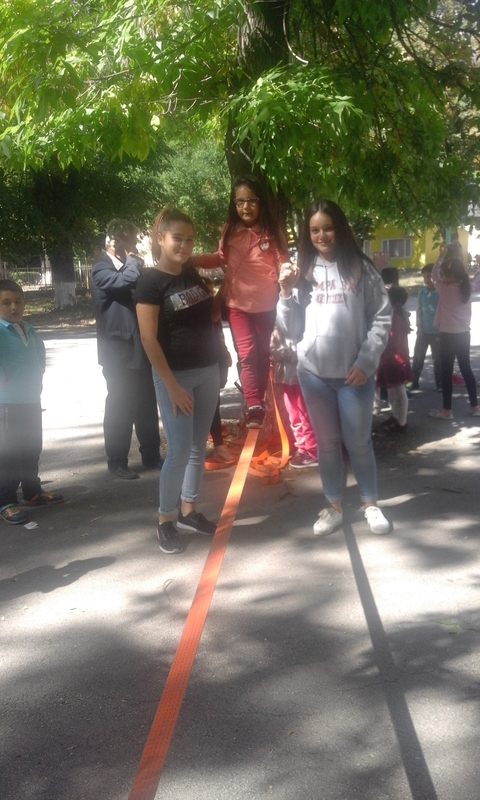 The children without disabilities, with joy and willingness, helped the ones with disabilities by holding their hands on both sides of the slackline, until they could pass it on and reach the end. Everyone was pleased and happy. This showed us that the inclusive process is successful and that all children, regardless age, gender or ethnicity, are willing to participate in all activities and workshops. The event was organized by Mrs. Silva Ikimova and Mrs. Nina Grudeva, and with the help of all teachers of Physical Education and Sport at “St. Paisii Hilendarski ” Secondary School as the ninth workshop within the project, aiming to raise pupils’ awareness of the benefits of sports.